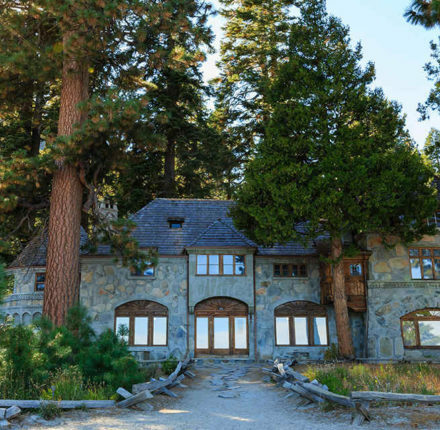 Vikingsholm Castle is located in Emerald Bay State Park. Reconstructed in 1929, Mrs. Lora Josephine Knight had Vikingsholm as a summer home and entertained many for years. Now a national and California landmark, Vikingsholm is available for public tours during the summer months. Knowledgeable guides offer a fun glimpse into the historic landmark from 10:30 a.m. to 3:30 p.m. daily, May 28 to Sept. 30. Adults $10, Students 17 and under $8, and children 6 and under free. Suitable for all ages. Tickets are bought day of at the Emerald Bay Visitor Center. For groups of 10 or more, please reserve at 530-583-9911.